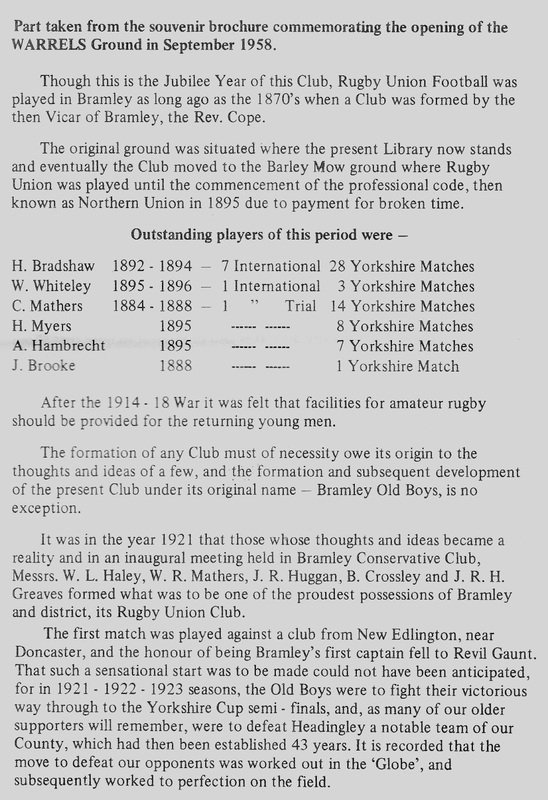 In 1971 Bramley Rugby Union Club had been in existence for 50 years. To mark to occasion the club published a pamphlet highlighting the events that had led to the formation of the club and some of events that had taken place during the previous 50 years. Below is an extract from that pamphlet. 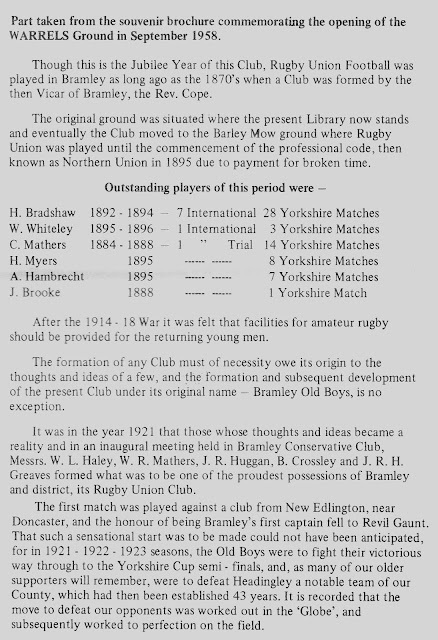 The club continues to play at The Warrels but is now called Bramley Phoenix following a merger with a Bradford based club called Phoenix Park.